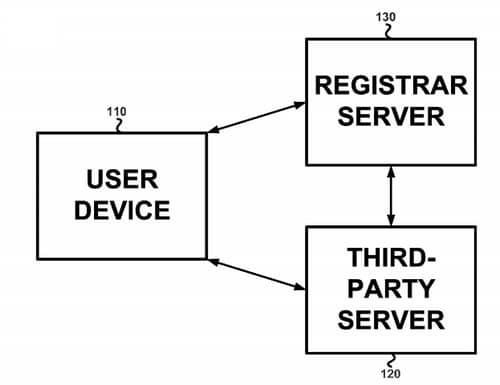 Patent application describes domain registration widget. Google has filed an application (pdf) with the U.S. Patent and Trademark Office to patent a “Method and Device for Domain Web Page Registration”. The application describes a need by third-party website builder services to offer domain name registration to people after they create a website. Of course, almost all website builders offer domain name registration through a reseller system. Company acquired international accounts for $6.0 million on April 1. Tucows (NASDAQ: TCX) expects its acquisition of reseller accounts from Melbourne IT to generate $2 million in gross margin per year, the company revealed yesterday. The company paid $6.0 million to acquire Melbourne IT’s reseller accounts, with the exception of those based in Australia and New Zealand. The acquisition closed on April 1. The deal added 1.6 million domain names under management that generate $13 million in annual revenue. Tucows didn’t acquire any operations, so its savings on the expense side from the deal amount to not much more “than a few hundred thousand dollars,” Tucows CEO Elliot Noss said on yesterday’s investor conference call. Company to create “reseller in a box” program. Wholesale domain registrar Tucows is launching a new program for resellers that will allow them to open a domain registration store in a matter of minutes. Tucows reseller program, dubbed OpenSRS, has traditionally been geared to technically savvy companies wanting to add new services to their offerings. A technical integration was required. On the company’s earnings conference call yesterday, CEO Elliot Noss said the company will now offer a push-button registrar store that sounds similar to what GoDaddy offers through its Wild West Domains service. GoDaddy’s popular Wild West Domains service lets resellers without technical skills set up a storefront to offer domain registration, web hosting, and related services. Wild West Domains costs anywhere from $99 to $299 per year for resellers who are then able to set their own prices and profit from markups. Wild West Domains has over 3 million domains under management according to RegistrarStats.